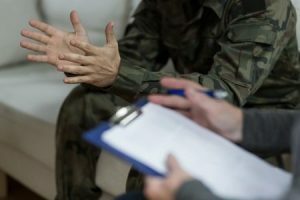 On November 15, 2013, a policy memorandum made a change that allows or recommends the use of Military Parole in Place to Spouses, Children, and Parents of Active Duty Members of the U.S. Armed Forces, the Selected Reserve of the Ready Reserve, and Former Members of the U.S. Armed Forces or Ready Reserve. What Does The New Policy Mean For Military Parole Family Members? This means that those parents, children, or spouses who entered the United States without a visa or travel document will now be considered to have been paroled into the United States taking away the inadmissibility of an illegal entry. After being paroled, those children, spouses, and parents will be able to apply for their permanent residence in the United States. If this is your situation, contact the Zavala Law Firm, PLLC for your free consultation. We have successfully obtained this type of Parole for many parents, spouses, and children of members of the U.S. Armed Forces and have assisted in their application for Permanent Residence in the United States.